Sound Transit is rapidly moving to nail down a total $2.9 billion worth of bond sales, federal grants and easy credit this winter, to launch the huge rail-expansion plan that voters just approved. The deals would go a long way toward making the 25-year program known as “ST3” recession-proof, in terms of lowering the risk of a project being delayed, Chief Financial Officer Brian McCartan noted in a loan application. McCartan is intent on avoiding what happened during the last economic slowdown that began in 2008, when the agency indefinitely postponed a track extension to Star Lake in north Federal Way. Interest rates have been historically low at just under 4 percent, but have creeping up since Nov. 1, raising “a significant risk to the agency’s cost of capital,” he told the transit board. Board members will vote Tuesday on two credit deals, along with local tax increases to begin Jan. 1 at a cost of around $326 yearly per median household. They are wasting not even a single day, since Tuesday is when the Nov. 8 vote counts are to be certified by the state. “Whenever Sound Transit can avail itself of cheaper credit, it means more taxpayer money is going into delivering projects and service, and less is going toward interest cost,” CEO Peter Rogoff said. In fact, just one of the maneuvers — a $1.99 billion line of federal credit for rail construction at 3.1 percent — would save the agency and local taxpayers the equivalent of $200 million to $300 million in future construction projects, the agency has estimated. However, Rogoff doesn’t expect the deal to significantly speed the opening of new stations, to arrive in waves from 2024 to 2041. Debates over exact route alignments as well as work on engineering, permits and construction work all play equal or greater roles in the timing. 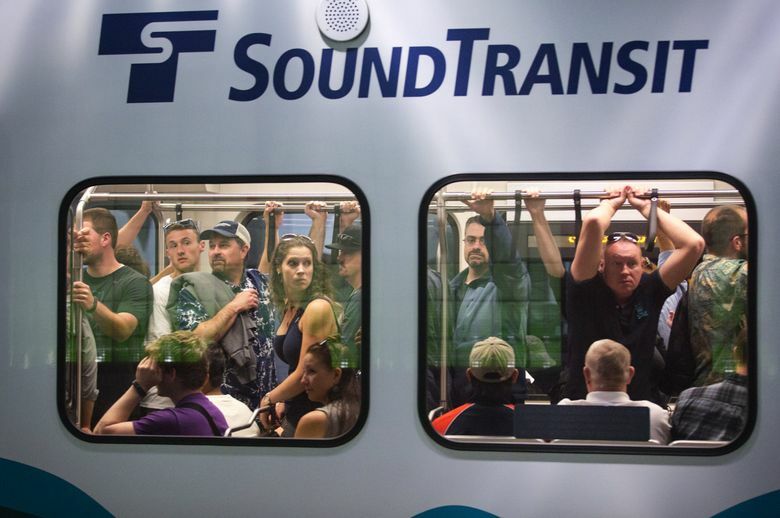 Besides cash flow, Tuesday’s votes would boost Sound Transit’s immunity against any future tampering by legislators or a Tim Eyman anti-tax initiative. That’s because the bond and loan contracts contain a legally binding promise to collect the full tax amounts, until investors get fully repaid. Rogoff wants the forms completed this year, despite his belief that President-elect Donald Trump, who has included transit in his remarks about U.S. infrastructure, will sustain what have been bipartisan Federal Transit Administration (FTA) aid programs. The day after the election, FTA invited Sound Transit to borrow $1.99 billion at 3.1 percent for four projects — including the late addition of the ST3 line from Angle Lake to Federal Way, which was on the ballot this month. The four projects are: the University-to-Northgate light-rail line now under construction to open in 2021, the Northgate-to-Lynnwood line scheduled for 2023, the Federal Way line in 2024 and a Bellevue train-maintenance base. McCartan is asking the board to approve a $400 million bond sale. The Federal Reserve Board is likely to increase interest rates “relatively soon,” Chairwoman Janet Yellen testified this month, and private financiers anticipate a quarter-point boost in mid-December. The agency will complete a federal grant application this winter seeking $499 million toward the $1.9 billion Federal Way extension, estimated to serve 36,500 passengers a day. The just-passed $54 billion ST3 plan, to build eight light-rail extensions, two more commuter-train stations, and suburban bus-rapid transit lines, includes higher property, sales and car-tab taxes to supply half the total. These apply to 2.8 million people in urban parts of Snohomish, King and Pierce counties.